Discussion in 'Publishing' started by platerawriter, Oct 9, 2013. I'm going to be totally frank here. I'm 19 years old and I've completed two short stories. I really, really want to publish them, but I really just don't know how to go about doing it. I applied to some literary magazines that I really don't have an business applying to and to know surprise, I got rejected. So, what is the best advice y'all could give. Should I wait it out until I'm a little older and have a degree under my belt? Keep sending them out to other magazines. There's a lot of them out there. Check out Duotrope or some site like that for listings of markets - you'll be amazed. First, you don't need a degree to publish stories. Second, remember that all writers get rejected. The best thing you can do is revise your stories and keep sending them out. There's a database of short story markets at Poets & Writers. Duotrope is another great resource for short story listings (better than P&W), though they now charge a fee of $50 a year. I would start with the higher paying/most prestigious markets and work my way down. There's no reason to sell yourself short. I'm not sure but did you try the writer's market book? That's my annual go-to resource for anything to do with publishing and sending queries. If it gets rejected, sometimes they do give some feedback. If it's been a while since you wrote it, revisit it and edit anything you might have missed or see a better way of doing. Maybe you can find someone to betaread your work if you're not sure why it's getting rejected. That can always get you some insight. Other than that, simple send it out again to the next place and hope for a more favorable response. Why thank you! I think I'll try to do all of that! The average publisher/Agent reads and rejects about a thousand stories from writers who have not been previously published before selecting one (Noah Lukeman, a very successful agent says his ratio is 10,000:1). And the writers of some of those stories lying on the desk have been working to hone their skills for a decade or more, through study, workshops, retreats, classes, etc. That's your competition. 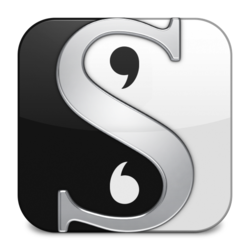 The criteria the editor uses is simple: First, the story needs to be of a genre the readers of the publisher's product respond positively to. Next, if a given submission's writing sample was mixed with that of ten published writers, that editor could not tell the one unpublished writer from the others by reading. And because there are no fans for that new writer's name, the story's readability must be better than, "as good as." And here's how they look at your submission: They turn to the first page and begin to read until a) they find what they feel is a writing mistake. By that I mean an info-dump, a point of view break, something boring or confusing, or missing context. If they find one of those things they stop reading at once because there are so many others to plow through, 99.9% of them to be rejected, too. So as you can imagine, they open your submission looking for something that will let them reject it quickly. Most never make it to the second page. Lots end their audition within the first paragraph. It is brutal. And it's not fair because we all deserve success. But that editor is looking for something that will please the readers at the lowest cost to polish and produce. So...given the environment, do you believe that you're ready to compete in a game of musical chairs that has a thousand participants and only one chair? I'm not trying to discourage you. What I'm trying to do is show you that a bit of research into the techniques the pros use, so you can apply them to yourself and your work, can make all the difference. Fully 75% of the submissions are what publishers call amateur work. A bit of research, though, coupled with some practice, and you're ahead of that 75%. Of the remaining 25%, all but three aren't yet written on a professional level. Add a bit of talent to that professional knowledge and maybe you're among the three. Nightstar99, minstrel and platerawriter like this.